Kansas Truck Equipment Co., is a Kansas-owned and Kansas-grown company, founded in 1959. We are, and continue to be, the only Blue Bird school bus distributor in Kansas since the Blue Bird Body Company elected to expand their operations west of the Mississippi River in 1962. Our bus service department is staffed with factory-trained and Cummins-certified technicians with years of experience in bus maintenance from wiring systems to paint and repair. Our bus sales staff is very familiar with all the pages of technical specifications required to purchase the right bus for the right situation. We can help you determine the right optional equipment to insure the bus you will buy will meet your needs. In addition, we can help with the selection of bus graphics and paint, as they may be required. Lastly, we can assist you with selecting the right extended warranty, wheelchair lift and securement system, as well as a variety of financing options. 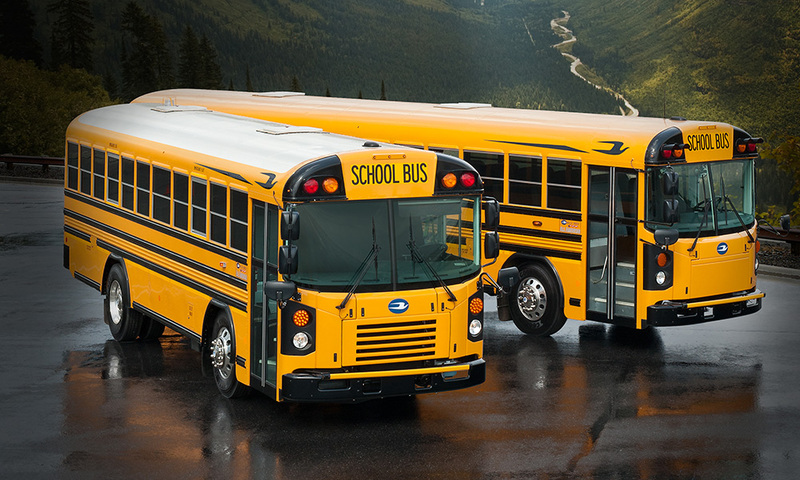 Check out our full line of school bus offerings from Multifunction School Activity Buses to conventional diesel, propane and gas engine buses. Also, check out our full line of front and rear engine All-American transit bus options, as well as the Blue Bird Micro Bird built on GM and Ford Van-cutaway chassis. A Blue Bird bus is distinct. While all yellow buses may look the same to you, what you don’t see can make a big difference. 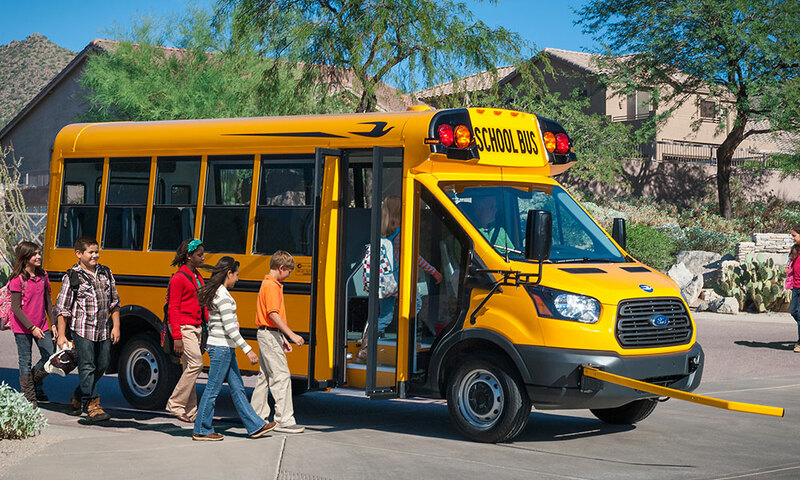 Blue Bird is the leader in safety and durability with innovative construction including an all-purpose built chassis exclusively designed for student transportation. Check out our new and used school bus inventory. 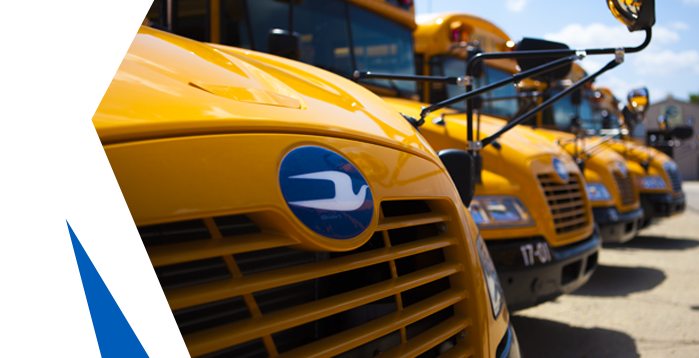 As a staple in the school bus industry, the Blue Bird Vision continues as a front-runner in school bus safety. The Vision’s purpose-built, angled hood offers the greatest loading and unloading zone field of vision in a conventional Type C school bus. With capacities ranging from 36 – 78 students, the Blue Bird Vision offers the flexibility needed for today’s transportation needs along with the safety, quality, durability and serviceability to ensure that this school bus continues to meet those needs throughout the life of the vehicle. Whether it’s the Rear Engine’s (RE) serviceability and higher horsepower ratings – available in both diesel and compressed natural gas – or the Forward Engine’s (FE) array of body plans and seating configurations, the All American Rear Engine and All American Forward Engine deliver on Blue Bird’s leadership in safety, comfort and life-cycle value. Blue Bird’s Type A school bus line, built by Girardin, meets or exceeds all Federal Motor Vehicle Safety Standards (FMVSS) for both standard seating and wheelchair accessibility models. There are multiple floor plans with configurations for up to 30 passengers. 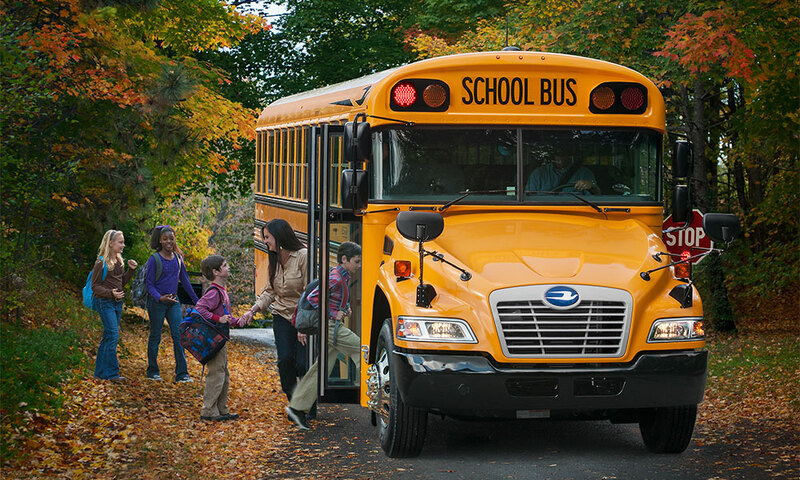 Blue Bird activity buses meet all Federal Motor Vehicle Safety Standards (FMVSS) for school bus safety. With luxury amenities like drop-down DVD players, comfortable seating, and individual reading lamps, students can use transit time for study time. As a parent or school administrator, we know safety is your first priority. It’s ours too. You can rest easy knowing a Blue Bird activity bus is built with the same solid steel construction as a Blue Bird school bus. 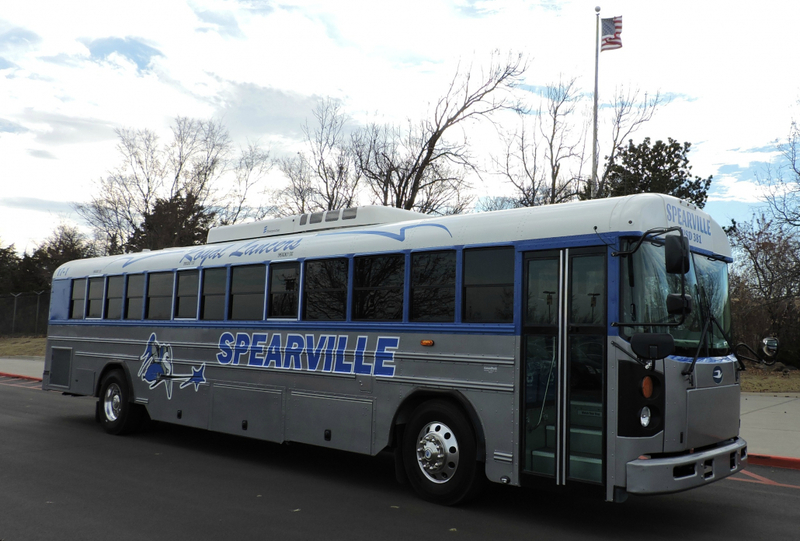 From conception to completion, a knowledgeable activity bus specialist can help you determine the size you need, choose your amenities, and design graphics that will make your team stand out from the rest. Personalized details like school colors and mascot images make these truly one-of-a-kind vehicles that become points of pride for the school, as well as the community.